Welcome to Game Set Match, your one-stop shop for club development resources and ideas. Here you will find information across a range of key areas, including articles, templates and videos to help you develop your club. You can also find out about current grants and funding your club can access. 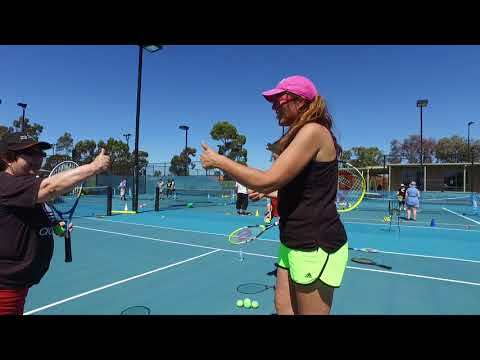 Your local Tennis Victoria Participation Leader is available to provide expert advice and support to assist you with bringing the ideas on this site to life. Find out who your Participation Leader is here. New resources to promote female participation programs now available! 03 Oct 18 A set of brochures, posters and social media tiles are available for clubs to order. South Hawthorn going from strength to strength 05 Jul 18 Good governance practices when recruiting new committee members have paid off at the South Hawthorn Tennis Club. Victorian Community Tennis Forum #13 15 Jun 18 This forum will discuss the important topic of working effectively with local government.